VideoGuard Plus is a HD CCTV solution suited to semi-permanent sites on a short to medium-term rental basis. Benefit from the latest technology HD IP CCTV cameras, with either external PIR (Passive Infrared Sensor) activated detection or intelligent analytics. With up to 32 cameras connected to our high capacity NVRs (Network Video Recorders), we provide unrivalled image capture day and night. For short-term contracts, flexibility is key and although the system can be hardwired with CAT 5 structured cabling or fibre, we often utilise Wi-Fi technology to reduce installation time and remove on-site wiring issues. Installation is quick and easy, typically taking no more than a day. Off-site monitoring is easy. The NVR records every event on your site for up to 30 days and, when connected to broadband, will transmit alarm events to our RVRC (Remote Video Receiving Centre) for immediate intervention and escalation. 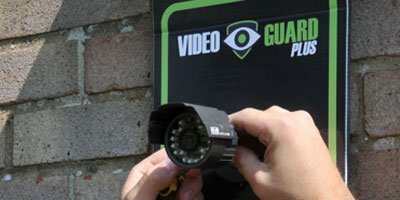 VideoGuard Plus utilises on-site power as it is essentially a traditional CCTV system incorporating HD IP cameras, infrared illuminators and a network recording system. In addition to the desktop viewing software, you can ‘remote in’ and view live images on your PC, laptop, smartphone or tablet anywhere (subject to the network connection). Don’t be disturbed out of hours, when our professional, licensed and uniformed security officers can attend to the activation for you; only disturbing you in the case of an extreme event or as required by you. Once armed, if a trespasser activates the detection system the NVR sends an alarm signal to the ARC (Alarm Receiving Centre) where professional staff view the recorded images and take the appropriate action – escalating to key-holders or police – and always ensuring a swift response to an intrusion. Is electronic security the best solution for you? Read more.